Nothing improves your homes value quicker than great curb appeal, and no one can do it better than Eason Painting. We have painted and stained hundreds of homes in the tri county area. We have the skill and knowledge to apply various protective-coating systems to the exterior of your home or business. Whether your home or business is aluminum siding, vinyl siding, wood trim, wood siding, hardy board, brick, block, stucco or cedar we have the experience needed to get the job done, on time and budget. Clean, neat and meticulous no drips or paint spills, all landscaping is protected and cared for the same way you would. Do not forget preparation is the key to all quality jobs. Our work ranges from mobile homes to mansions from Historical restoration to sheds and barns. 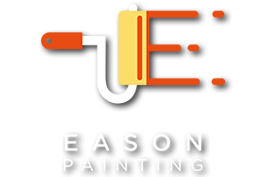 Eason Painting Crews uphold a quality image by dressing appropriately with painter pants and supplied company tee shirts and showing respect for you and your property. Scraping, spackling and sanding of loose paint and surface defects. Thorough surface cleaning including power washing, removal of mildew, dirt, rust, and other foreign materials. Replacement of defective materials such as rotting or loose fascia boards, eaves, gutters, siding or shingles as requested. Caulking and weather sealing of appropriated areas. Proper covering and protection of entrance ways, walkways, windows, patios, porches, roofs, chimneys, driveways, and plants while work in progress. Expert application of paint, stains and sealants. Exact color matching of the paint or stain. Use of high quality paints and stains. Proper cleanup and storage of materials and tools during the job and after the job is finished. The work will be done in a prompt and efficient manner. Yes, you can refinish Aluminum and Vinyl Siding. 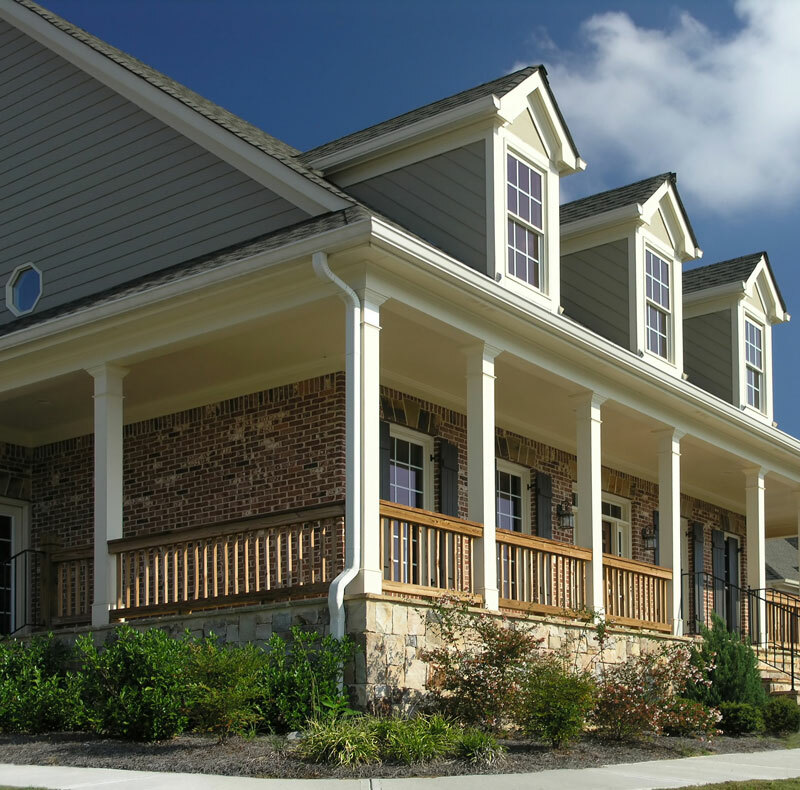 The fact is that no surface lasts longer or carries a longer warranty than refinished aluminum and vinyl siding. WOW, WHEN DID YOU GET YOUR NEW SIDING? That is what your friends will ask you when they come over for this years Barbecue. 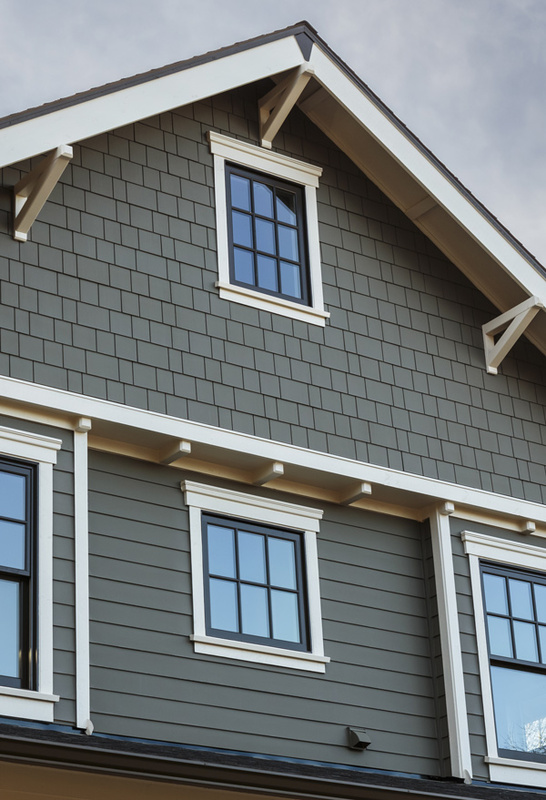 Just like any other exterior painted surface which weathers and fades, vinyl and aluminum siding requires maintenance and repainting. More cost effective than new siding. 1/2 to 1/3 the cost of new siding. Restores weathered and fading siding to factory finish. Choice from a great range of colors. The key to the lasting beauty and protection of your new factory finish is proper surface preparation and product selection. Eason Painting will handle all of this for you in a low cost refinishing system designed specifically for you. Deck, fence and siding staining and sealing. Concrete and brick pavers sealing. Your entire exterior painting, staining and sealing needs. Eason Painting is a licensed Residential Builder providing you with one stop shopping. We provide all wood removal and replacement in house, with skilled carpenters on our payroll. We have replaced miles of rough sawn cedar and pine, thousands of square feet of wood siding and stucco board and hundreds of linear feet of window trim. There is no need to deal with multiple contractors Eason Painting does it all, with attention to detail, quality materials, professional craftsmen and a knowledgeable staff. We can assure you your home will get the attention it needs to keep it protected and looking beautiful for years to come.